First the bad news: It appears that tickets are pretty much gone for this Thursday night's show at the Auditorium Theatre featuring Ray LaMontagne and Rock Island-raised singer-songwriter Lissie (at the time of writing there were still a few single seats left on Ticketmaster). Now the better news: Lissie releases her introductory EP, Why You Runnin', this Tuesday on Fat Possum Records, and it's so good that it warrants a post anyway. The first thing you notice about Why You Runnin' is Lissie's voice. It's, in one word, enchanting. Her vocals walk the line between old school, wide-eyed country songstress and 60s girl-pop siren and pull off the combination beautifully. After that you notice the strength of the songs themselves. EP opener "Little Lovin'" leaves an immediate impression, starting off as warmly inviting Americana-pop before building into a foot-stomping chant. The stately "Oh Mississippi" could easily pass for some century-old American folk standard given a modern reading by the singer if one didn't know it were an original. "Everywhere I Go" sounds like what might have happened if The Ronettes had been born out of the rural Midwest, while closing track "Here Before" soars with stark beauty. 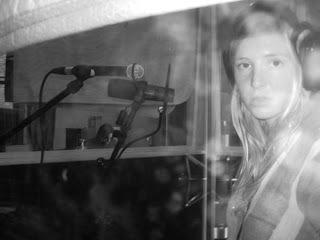 Probably the biggest stunner, though, is Lissie's cover of the Hank Williams country classic "Wedding Bells." This version does what any great cover song should do - respect the original while taking it in a new and interesting direction - and Lissie's hauntingly sad reading of the song couldn't be more effective. The singer is no longer based in Rock Island - she currently lives in California - but hopefully she won't forget to make frequent return trips to her native Midwest as her recognition continues to grow. And based on the strength of her EP, it's bound to grow fast. Download MP3: Lissie - "Little Lovin'"
For more free downloads, check out Lissie's Daytrotter session.